Colleagues from Principality Building Society have gone back to school to provide financial education lessons to more than 1,500 Welsh primary school children across the country. More than 40 classes of children, including Ysgol Clawdd Offa in Prestatyn, received lessons as part of the Money Advice Service’s Talk Money Week (12-18 November), which aims to improve financial education for people of all ages across the UK. Lessons at schools aimed to encourage children to think and discuss issues such as where money comes from, how to look after money and what money can be used for. The lesson also touched upon forged notes and how to spot them. To coincide with Talk Money Week, Principality has also commissioned a children’s book teaching families in Wales about the importance of financial education from a young age. The book, called Goose’s Cake Bake, has been written and illustrated by Devon-based artist Laura Wall. Goose’s Cake Bake tells the story of a child who organises a bake sale to raise money to buy books, using themes of entrepreneurship, decision making and financial education throughout. Principality will donate 2,000 copies of the books to schools across Wales. “Principality and other businesses across Wales have a role to play in supporting our hard-working schools in helping to prepare children for life ahead through financial education skills. 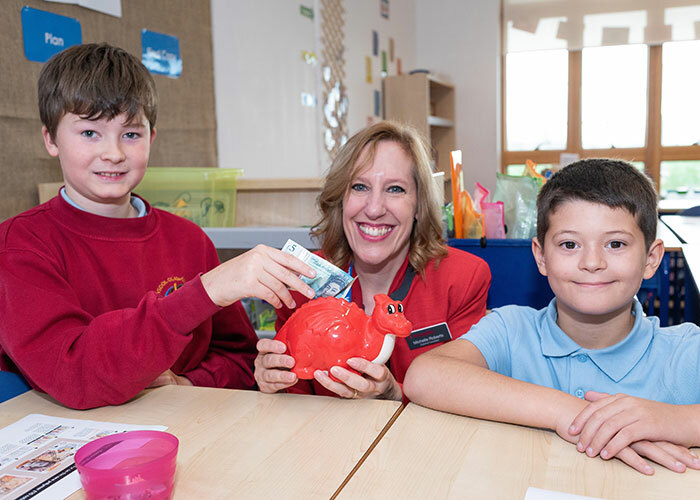 As well as the lessons during Talk Money Week, more than 5,000 school children in Wales have benefited this year alone from financial education classes with Principality colleagues and partners.